These small Periwinkle earrings are made from scrap Eco Silver – therefore they are doubly recycled! 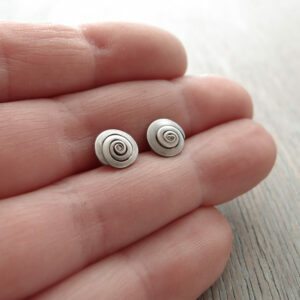 Small tapered slivers of sterling silver sheet, which are the off cuts from ring shanks, have been coiled into small spirals to form tiny little shells. These shells are soldered onto standard earrings post to form studs. 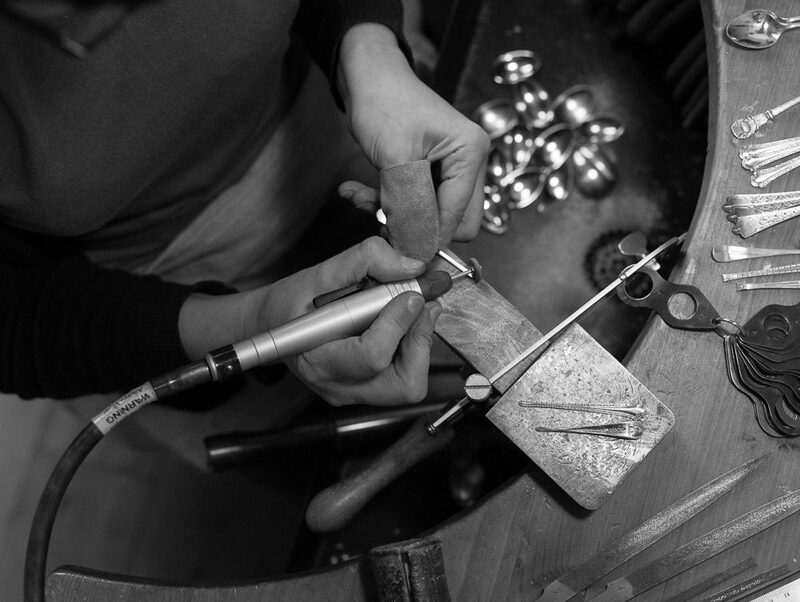 They have a brushed rough finish and the silver has been oxidised and polished back. Each stud is totally unique, dainty and delicate. 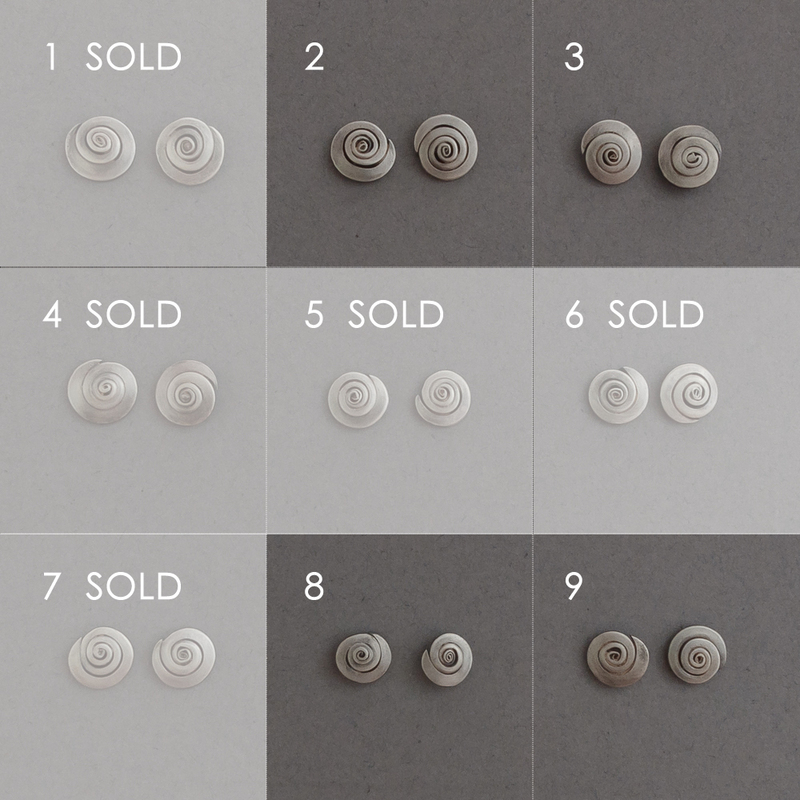 There are 9 pairs in total – please check the image and make your selection using the drop down menu. For Shipping please select Recorded Delivery or Special Next Day Delivery.